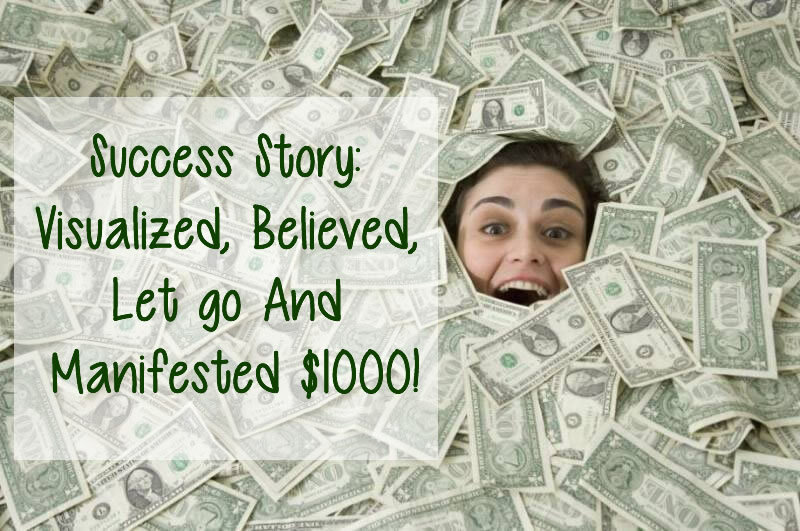 Those who might be losing faith in the law of attraction and are finding it difficult to attract money into their life, even though trying everything, should read this story. In this story the author shares how she manifested money with simple practices like faith and visualization. I have no absolute words for how thankful I am to Rhonda Byrne and the entire team of The Secret because none of this would have been possible without your help. So I had to be around 12 years old when my dad purchased the movie “The Secret” for us to watch. Since my father had always been spiritual and only ever spoke very wisely, I had not taken the law of attraction that seriously because it was everything I’d been hearing since I was a child. But not until last year when Youtube began blowing up with law of attraction videos did I started getting clarity. The answer was always right there in front me, it was always there and I had been stupid not to realize it. I watched tons of videos on the law of attraction and have been applying it to my life ever since. I started off with little things like flowers, pizza, ice cream, shoes and sometimes, I even found myself manifesting things without even realizing it. I decided last month that I would attract money. I visualized having exactly $1000 in my hands and even separated my budget on how I would spend it including giving some to my parents out of gratitude and helping street dogs. I felt grateful for the money and had a lot of faith in the Universe. The hardest part was letting go but I was gradually forgetting about it with time. Two months later, I got to see my see result of my 10th grade and my aunt who had always loved me as her own daughter, handed me in cash, $1000!! I knew she was going to be giving me some money at some point because she had told me about it months ago, but I did not know when or how much. I’m still stunned at the amount of money I received. It works guys!! Thank you so much! About the Author: I am currently 16 years old and I live in Nepal. I am highly passionate about singing and writing. I had known about the law of attraction ever since I was 12, but had never actually applied it seriously until this year. I’ve felt and noticed amazing differences it has welcomed in my life and I am beyond grateful to The Secret team.